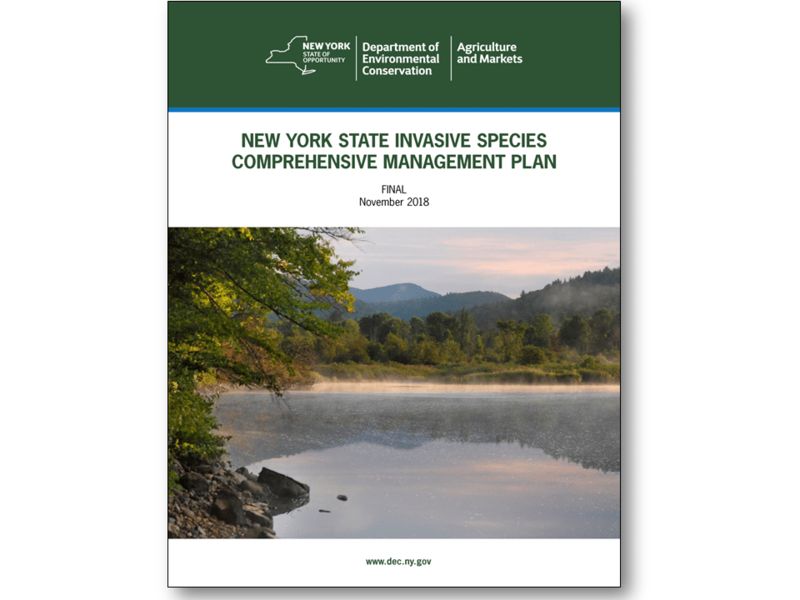 EcoLogic teamed with OBG to develop the New York State Invasive Species Comprehensive Management Plan on behalf of the NYS Departments of Environmental Conservation (DEC) and Agriculture and Markets (DAM). Creation of this plan, which covers all taxa of invasives in all areas of the state, was a recommendation of the New York Invasive Species Task Force established under legislation passed in 2003. Our team developed technical recommendations related to early detection and rapid response as well as research needs. EcoLogic focused on recommendations for enhancing collaboration among stakeholders, developing frameworks for sharing information and engaging the public, and evaluating and reporting on progress. The final plan, released in November 2018, can be viewed at the NYSDEC website.